Vibration Energy Harvesting has received a lot of attention in recent years, because of the ubiquitous existence of vibrations in a variety of environments. In real-world device implementation, however, several problems are encountered particularly when the harvesters are intended to power miniaturized systems at micro and/or nano scale; in these cases, to store the harvested energy can pose significant problems due to the very low level of voltages involved, thereby conflicting with the threshold of blocking diodes. 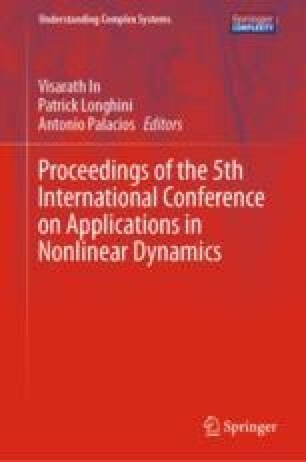 Investigations on this specific subject have lead us to the development of a family of devices which exploits the synergetic use of piezoelectric materials, flexible beams, magnets and mechanical stoppers together with some concepts of nonlinear dynamics used to accurately model and understand the device behaviors. Here we present an excursion that begins with the genesis of these ideas and leads to a family of devices able to capture mechanical energy, convert it into electrical energy, and store this energy regardless of the voltage level. The switching mechanism with the mechanical stopper is used to overcome the diode threshold. Few building blocks (Piezoelectric cantilevers, magnets and stoppers) have been identified that, once suitably arranged and used, can lead to novel devices operating as detectors and/or energy harvesters. Beyond energy harvesting, devices able to multiply voltages and rectify signals will be presented, these devices can perform, even at very low voltages because do not use diode. A review of these devices together with working principles, models and experimental characterization results is reported in this review paper.